Reject the Diet Mentality: Unfollow any social media that promotes dieting or false claims related to nutrition. Move away from diet books, magazines, or gimmicks like diet shakes or supplements, throw them away as a sign of a fresh start. Honor Your Hunger: Eat! Keep yourself satiated with adequate energy from nourishing foods that provide an equal balance of protein, fat, and carbohydrates. Listen to your body’s natural hunger signals, you will develop better body awareness with consistent practice. Make Peace with Food: Labeling foods good or bad can create negative feelings toward eating. This mentality can begin uncontrollable cycles of overeating which can lead to increased feelings of guilt and anxiety. All foods can fit into a healthy, well-balanced diet, without food fears. Challenge the Food Police: Take the phrase “cheating on your diet” out of your vocabulary. Food should be enjoyed and you should not be punished in any way for adopting a healthy attitude toward nutrition. Respect Your Fullness: Listen to your body. Are you truly hungry? Did you drink enough water and fluids today? Pause during meals and ask yourself if you are truly experiencing feelings of satiety. Discover the Satisfaction Factor: Food can be a source of pleasure and provides us with social opportunities to share special meals with family and friends. Rather than restricting foods, focus on enjoying foods in moderation and savoring each bite. Feeling satisfied and content is an empowering tool which can be used to guide eating behaviors. Honor Your Feelings Without Using Food: Food cannot fix feelings of sadness or emotional stress and often times we feel worse after giving in to these crutches. It’s important to focus on handling stressful times with other alternatives to food like meditation, exercise, yoga, journaling, or distraction techniques. Respect Your Body: Work toward accepting yourself for who you are. We are all different, honor that idea and respect yourself. Work toward creating realistic, positive feelings about your body shape, size, and individuality. Exercise – Feel the Difference: You don’t need a perfect fitness plan to feel good – you just need to start moving! Shifting our thoughts from using exercise as a tool to feel good rather than burning calories, creates more positive feelings toward physical activity. Honor Your Health: Base meal choices around foods that you enjoy, but also that nourish your body. Consistency over time is the most important when it comes to sustainable lifestyle changes surrounding food. Tribole E. What is intuitive eating? Website. https://www.intuitiveeating.org/. Published September 12 2018. Accessed October 13 2018. Markowitz JT, Butryn ML, Lowe MR. Perceived deprivation, restrained eating and susceptibility to weight gain. Appetite. 2008;51(3):720-722. Resch E. Taking the leap of faith into intuitive eating. Website. https://www.intuitiveeating.org/taking-the-leap-of-faith-into-intuitive-eating-by-elyse-resch/. Published April 28 2017. Accessed October 13 2018. Jennifer O’ Brien is currently a dietetics student in the coordinated program at Framingham State University and holds a Masters degree in health promotion with concentrated studies in exercise science, from Bridgewater State University. Jennifer is passionate about a whole-foods nutrition approach to wellness and believes an optimal lifestyle can be achieved through healthy delicious food, exercise, and self care. In addition to her coursework in dietetics she is also a certified personal trainer and CrossFit coach. Jennifer has a special interest in oncology, gastrointestinal conditions, and sports nutrition, and is excited to finish her pursuit toward becoming an RD in May of this year. The MAND Nominating Committee Needs Your Help! The Nominating Committee is actively seeking fun, enthusiastic, and well motivated nominees for our 2019-2020 Board. Does this describe YOU or a colleague of yours? If so, send an e-mail to nominating@eatrightma.org! The following positions need to be filled for the 2019-2020 Board! It is all about defense when it comes to cold and flu season. The first three priorities of defense include frequent hand washing, hydration with plenty of water, and getting a yearly flu shot. 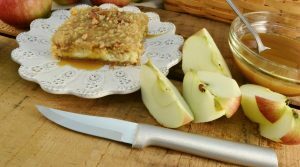 But if you want to up your game this season, here are several options to consider in your defensive nutrition plan. ✔️Garlic contains allicin, a sulfuric compound that has antimicrobial and antibacterial properties. Remember to wait 10 minutes after chopping or mincing before cooking to obtain the most benefit. ✔️Wild blueberries and red cabbage are packed with anthocyanins for antioxidant power. Try adding blueberries to your smoothie or as a snack added to cottage cheese with a sprinkle of granola. Try adding red cabbage to salads, soups, stir fry or slaws. ✔️Dark chocolate – 1-2 squares of 70% or higher is loaded with polyphenols and zinc to boost immunity. Add a few shavings to a bowl of oatmeal. ✔️Butternut squash, sweet potatoes and carrots all contain beta carotene – a precursor to immune boosting Vitamin A which is key in keeping respiratory and gastrointestinal mucosal membranes healthy. Try adding to muffins, pancakes, smoothies. ✔️Homemade chicken or vegetable soup can help to warm the nasal passages and ease congestion during a cold or flu episode. Bone broth is another option which can boost protein intake. ✔️Citrus fruits are often touted for having an abundance of vitamin C, which is a water-soluble vitamin that can boost your immunity. It is interesting to note that there are citrus fruits that contain both flavonoids and vitamin C — and recent research has uncovered that flavonoids are capable of assisting in the transport of vitamin C in the body. Some familiar citrus varieties include orange, lemon, lime and grapefruit. One could also venture out to a more exotic citrus such as kumquat, pummelo or Yuzu! ✔️Matcha green tea has been in the spotlight, especially in recipe development. The following components in green tea: caffeine, L-theanine, and epigallocatechin gallate (EGCG) have proven benefits on mood and cognitive performance. Tea leaves contain catechins which are a class of polyphenolic flavonoids. These flavonoids (there are more than 6,000 recognized compounds) have a multitude of antioxidant and anti-inflammatory properties. Although there are limited studies on tea catechins effects against influenza and the common cold recent research suggests the possibility of preventive effects on these two menaces. Furushima D, Ide K, Yamada H. Effect of Tea Catechins on Influenza Infection and the Common Cold with a Focus on Epidemiological/Clinical Studies. Molecules. 2018; 23(7):1795. Ramona Barbieri,Erika Coppo,Anna Marchese et al. Phytochemicals for human disease: An update on plant-derived compounds antibacterial activity. Microbiological Research. 2017; 196: 44-68. Yadav A, Borah D, Gogoi D, Aradhana Priyambada P. Flavonoids – World Healthiest Gift for the Benefit of Human Health. Journal Of Commercial Biotechnology. 2015;21(4):8-9. Jody Bergeron RN, BSN, MS, CEN, works in critical care for Cape Cod Healthcare. She obtained her Masters in Human Nutrition from the University of Bridgeport and was enrolled at the University of Alabama’s College of Human Environmental Sciences. Connect with her on Instagram and Twitter. Fasting has been practiced for centuries as part of religion, medical care, and culture. At the 2018 Food and Nutrition Conference and Expo, researchers Stephen Anton and John Trepanowski took the stage to debate an increasingly common weight loss trend – intermittent fasting (IF).1 This article will provide background on IF and the two researchers before summarizing the major takeaways from the debate. Drs. Anton and Trepanowski responded to both predetermined and audience questions. Dr. Anton emphasized that it is fundamentally harder to maintain weight loss with caloric restriction (CR), the most common weight loss method, due to energy expenditure decreasing beyond the expected loss of fat-free mass (FFM). In his review on IF, Dr. Anton found that there was significant fat loss without significant FFM loss in five TRF trials. Thereby, he concluded that IF was superior to CR due to this factor of maintaining FFM and protecting energy expenditure from plummeting beyond the expected level. Dr. Trepanowski thoroughly discussed the many loopholes in IF research, including trial duration, whether trials evaluated non-inferiority or superiority, and adherence levels of human subjects to an IF regimen. Unlike Dr. Anton, he emphasized that IF has not been proven superior to CR in regards to weight loss. Dr. Trepanowski also brought into question the inflection points of IF interventions, stating that current evidence is too scarce to derive a conclusion on the health benefits of IF in humans. To fast? Don’t be so furious. While both researchers presented great arguments on potential beneficial effects of IF in humans, evidence is lacking. Conclusions on IF as a weight loss mechanism may only be determined once researchers develop a standardized definition of IF and can prove its superiority to CR. Academy of Nutrition and Dietetics. Debate: Intermittent Fasting in Weight Management. Available at https://eatrightfnce.org/sessions/731399/. Accessed October 22, 2018. Stockman MC, Thomas D, Burke J, Apovian C. Intermittent Fasting: Is the Wait Worth the Weight? Curr Obes Rep. 2018 Jun;7(2):172-185. doi: 10.1007/s13679-018-0308-9. Varady KA, Bhutani S, Klempel MC, et al. Alternate day fasting for weight loss in normal weight and overweight subjects: a randomized controlled trial. Nutr J. 2013; 12: 146. doi: 10.1186/1475-2891-12-146. Longo VD, Panda S. Fasting, circadian rhythms, and time restricted feeding in healthy lifespan. Cell Metab. 2016 Jun 14; 23(6): 1048–1059. doi: 10.1016/j.cmet.2016.06.001. Academy of Nutrition and Dietetics. Steve Anton, PhD. Available at https://eatrightfnce.org/presenters/563020/. Accessed October 22, 2018. Anton, Stephen, PhD. Available at https://aging.ufl.edu/profile/anton-steve-phd/. Accessed November 7, 2018. John Trepanowski. Available at http://metrics.stanford.edu/about-us/bio/john-trepanowski. Accessed November 7, 2018. John Trepanowski. Available at https://www.linkedin.com/in/john-f-trepanowski-phd-104829b0/. Accessed November 7, 2018. Mary-Catherine Stockman, MPH, RD, LDN is a Clinical Research Dietitian in Boston where she focuses on diabetes and obesity. With her public health background, Mary-Catherine is on a mission to make nutrition fun, affordable, and easy to understand. Connect with her on LinkedIn or Twitter. Just in time for the holidays, and just right for fall, entice your guests with this ravishing, butternut squash soup: finger-licking good, and just as good for you! Grease a rimmed baking sheet with the one teaspoon of oil and set aside. Transfer the squash to a medium bowl. Add the diced onion to the squash in the bowl, and toss with 1 tbsp olive oil, 1/2 the salt and pepper. Spread over the baking sheet and roast in the oven for 30-35 minutes, turning about 3-4 times during the process, until the squash becomes fork tender. Heat the remaining tbsp of olive oil in a medium saucepan. Add chopped garlic till it turns a mild, golden brown. Add the roasted onion-squash to the pan, sauteing until blended. Add 1.5 cups vegetable broth and bring mixture to a rolling boil, then allow to simmer on low heat. Stir the yogurt-chili mixture into the saucepan. Using a hand blender, puree the contents of the saucepan. Add the cumin, the remaining salt and pepper, stirring well. Season to taste and let simmer for about 5-8 minutes on low heat. 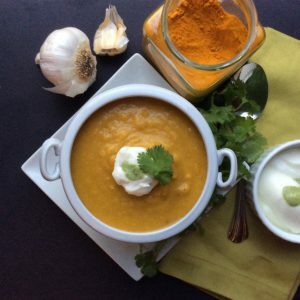 Ladle into bowls and serve hot, garnished with the reserved yogurt and reserved cilantro. Oxidative stress and inflammation have been linked to chronic disease. Curcumin, a phenolic antioxidant, is the active ingredient in the spice called turmeric, a native of India. Curcumin has been used in Ayurvedic medicine dating back thousands of years. 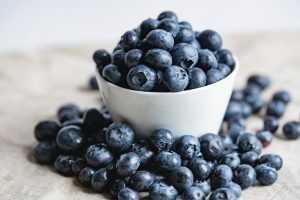 It has been shown in some studies to display potent, antioxidant and anti-inflammatory properties, but it is important to notes that all it takes is a pinch of this powerful antioxidant to pack a nutrient punch!